We all want radiant look, toned and firm skin which are the vital features of beauty. So in order to ensure this, we follow al the regimens suggested by dermatologists and beauty experts. However in the rush of using several cosmetic products and home remedies we often miss the real essence which lies in healthy habits to develop for healthier skin. You will be surprised to know that with regard to enhancing skin health and beauty everything is there in your hand itself. You don’t need to spend lots of money or put your head on hundreds of skin care regimen. Some healthy changes in your lifestyle and with some smart and health friendly habits you can combat all your skin issues naturally. As per skin health is concerned you must understand that there are three primary skin health enemies which are knowingly or unknowingly pulling your skin beauty in the downward curve by making your look aged than your actual age. These are sun damaging, smoking and stress which are silent killers of skin health and beauty. However, the good news is that instead of investing in the beauty industry for avoiding and eliminating these fear factors of your skin health, you can improve the overall beauty and internal health of your skin by implementing some healthy habits in your regular life. Massage your skin daily irrespective of all weathers and climates. People have the misperception that only dust and pollution can affect skin health by clogging pores and developing breakouts, wrinkles and other concerns thereof. However, the reality is that apart from these external environmental factors your skin is prone to get damaged easily due to changes in climate which can hamper the skin tone and texture if necessary care is not provided to it. Whether you choose to stay home or go outside you cannot protect your skin from natural damaging caused by weather changes. For this concern, the best solution is skin massaging. You need to massage your skin gently with a herbal and skin friendly moisturizer or oil as per your convenience which will rejuvenate your dead skin cells and stimulates the blood flow for revealing radiant, smooth and fresh skin like a teenager. Include skin massaging as a daily part of your skin care routine and don’t miss it even for a day. This will increase the thickness of your skin and removes all the dead skin cells which can clog your open pores if left for the longer duration. Keeping your skin hydrated is very essential otherwise in the lack of hydration soon it will lose its natural elasticity and tone irrespective of your age and will start getting dry, patchy and flaky. While talking about skin hydrating product, water is the best natural mode to keep it supple and hydrated all the time. Just forget about investing your valuable money in market’s cosmetic products which claim to keep your skin naturally hydrated and soft when the remedy is in your home itself and cost-free. Increase your regular water intake and don’t forget to start your day with a big glass of water. As per your preference you can add lemon or honey to increase its taste and effectiveness. Both of them are rich with natural and beneficial features for enhancing your skin health and beauty. Try to drink at least 6 to 7 glasses of water each day. Maintain this habit consistently and notice the drastic changes in your skin glow and texture after a few days. 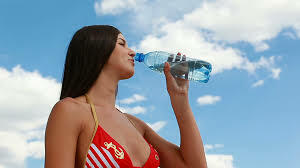 Water will nourish your skin internally and will not let it dry even in the dry, hot and humid weather. Apart from this, it will benefit your overall health by supporting all the primary organs of the body such as the heart, liver, digestive gland etc. The benefits of practicing deep or slow breathing are limitless both for your internal and external health and for improving the skin health it works as a natural healer by combating intensive unhealthy elements which can easily hamper and damage the skin beauty and health. In the deep breathing mode, your body is sets free from all mental as well as physical stresses and get into the relaxation mode. The regular practice of this healthy habit ensures younger look or appearance to the skin all over your body by nurturing life to it. The best part of practicing this healthy practice is that you can do it at any place and at any point in time of the day as per your convenience. Even 5 minutes of practicing is enough to tone your skin health. Apart from this, the other benefit out of practicing deep breathing is that it reflects immediate effect by controlling and managing your stress level, which is one of the biggest enemies for skin health. The moment you feel stress, anger, and tension, immediately starts taking slow or deep breathing. This will increase the oxygen level in your body which often disturbs during the stressful moments and slowly will calm you down by integrating your sense, brain, nerves, glands, and hormones which gets active during the stress hours. This improves your concentration level and pulls your mind towards positivity which is the core factor for relieving mental stress. Apply this healthy trick in your day to day life and experience the drastic changes in your skin health and beauty. Good and healthy foods are the key to developing diseases free healthy lifestyle no matter what is your age. 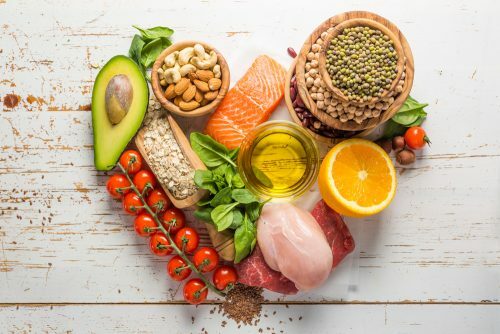 We human being are very much similar to machines and healthy diets or foods work as fuel which is important to keep our body healthy not only internally but externally too. When you eat nutrient-dense fruits, vegetables, nuts, dairy products, healthy fats, and fibers it reflects clearly from your skin in the form of your skin glow, tone, and texture. This is because these healthy diets are rich with essential nutrients such as vitamins, mineral, proteins and anti-inflammatory properties which fulfills the scarcity of any of these vital elements in your skin and protect it from the damages caused free radicals and toxins, one of the primary reasons of skin damage. Also, it will improve your overall health and prevent the primary health concerns of all individuals i.e. weight gain. So as a healthy skin care habit make sure that your meal plate will remain filled with green leafy and organic vegetables and all seasonal fruits. Apart from this, eggs, grass-fed meat, caught fishes are other essential diets rich with omega3, protein, vitamins and other healthy nutrients for your skin health. As these foods are fresh and homely prepared so there is no worry about market’s added preservatives and other unhealthy ingredients which gives birth to several health concerns along with damaging your skin health. There is no need to explain the immense amount of health benefits out of daily exercise practicing but most of you might not be aware of the fact that along with improving your physical body it is equally effective for toning skin health and beauty. In one term it can be said that exercising is the ultimate solution of all health concerns. What medicine and cosmetic products will not be able to do for you, even those concerns can be combat with the proper and consistent practice of exercise. In this context, you don’t need to hit the gym floor every day, only three to four days of gym practicing is enough and keep rest of the days as recovery time to your muscles which are quite usual to get exhausted and stressed due to intense workout practice. Also, keep a proper balance between the intense exercises and cardio exercises as it will improve your endurance or capability to exercise for a longer duration by framing your mind and body in such a way that it won’t feel exhausted or boredom. Intense bodybuilding workouts are essential for toning your muscles and for getting desired physical shape. Whereas cardio workouts are safe for everyone and are vital for combating many severe health concerns that not only affects the internal health but also reflects its bad effect by affecting your skin appearance and health. In the interval days when you are taking off from your gym, reserve it for light physical activities which will not put much stress on your muscles but ensure the consistency of your exercise routine. Simple household cleaning, walking towards the bus stop, using stairs, jogging, skipping, swimming, etc. are a light form of activities which you must try in your interval days. Exercise practice boost your blood flow throughout your body including the face which will add a fresh look and appearance to your skin by adding fresh glow and preventing aging signs such as dryness, fines lines and wrinkle appearance to very far. Moreover, it not only releases the physical stress of your body but also releases the mental stress which is one of the primary enemies of good skin health and the root cause of several skin problems. 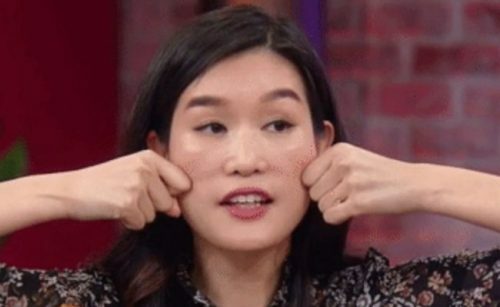 So if you want to get a healthier skin then must include this healthy habit in your day to day life and forget about aging signs on the skin. Sun is the good source of Vitamin D an essential nutrient for overall health, but along with this goodness, it contains the harsh UVA and UVB rays which are too much bad and cruel for your skin health and beauty. The UV rays of the sun are considered as the primary factor for wrinkle appearance and other skin related concerns which becomes difficult to control and relive. So as a healthy habit for your skin protection applies a broad spectrum SPF cream throughout the year irrespective of your skin type. Make sure the sunscreen you are using has SPF 15 or more and has good review and rating. People have often a misconception that SPF protection is only required in the hot and warm temperature which is not true. 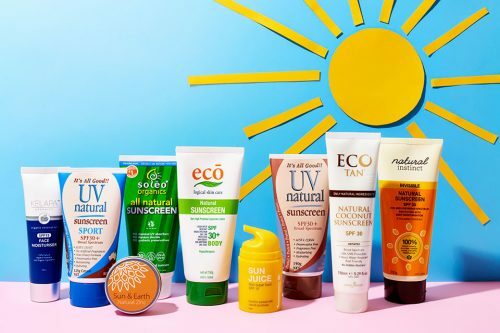 Yes, the intensity of the sun’s UV rays remains higher in the hot temperature but in all other days in a year too, it remains active and can damage your skin health if it remains unprotected. So as a healthy preventive measure to protect your skin from sunburn and suntan avoid going out in the afternoon when the intensity of sun rays remains in its peak. Also wear long sleeves tops, pants and hats to guard your skin against UV rays damaging. Along with these healthy hacks don’t forget to use sunscreen all over your skin which is quite exposed to the sun rays. Healthy eating, drinking, exercising and avoiding unhealthy habits are all essential and should be maintained consistently in order to maintain the charm and overall health of skin but along withal these healthy habits one more important work that you must include in your strict skin care plan and that is applying a natural face mask at least 1 or 2 times in a week. 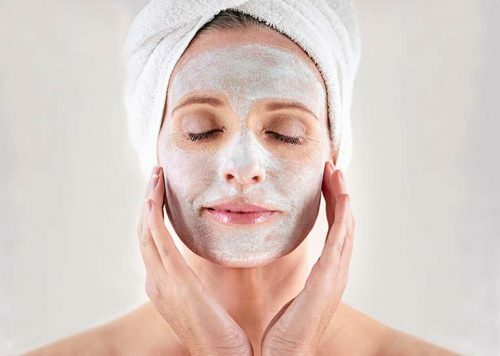 The natural facial masks are effective to combat all your skin concerns and cost effective too. It will help to release toxins and dust from your skin pores which are the primary elements for pore clogging, breakout, acne, and other primary skin concerns. Also, it will rejuvenate and exfoliate dead skin cells and boost the production of collagen protein for generating fresh skin cells to make your skin look supple and elastic, naturally. Some DIY ingredients that are effective to improve your skin health are fullers earth, honey, rose water, turmeric, glycerin, yogurt, lemon, etc. The DIY mask will give you an opportunity to prepare your face mask by own as per your skin type and all the trusted ingredients which will safe and skin friendly. 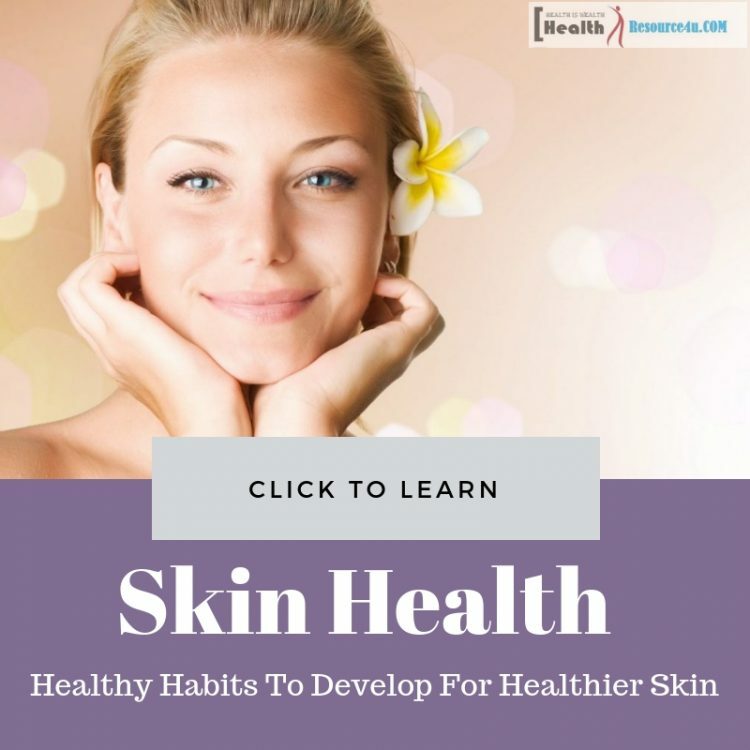 This healthy habit is enough to enhance your overall skin beauty and health by improving the skin texture, tone, glow and for reducing skin sagging, fine lines and wrinkle appearance means preventing aging sign on the skin. After the whole stressful and hectic day, your body and mind need rest and peace which can only be ensured with a peaceful sound sleep in the night. The night hours of sleep is known as a repairing or healing time for your skin and overall body. Your internal organ, muscles, and skin of all over the body get time to heal itself on its own natural capacity. 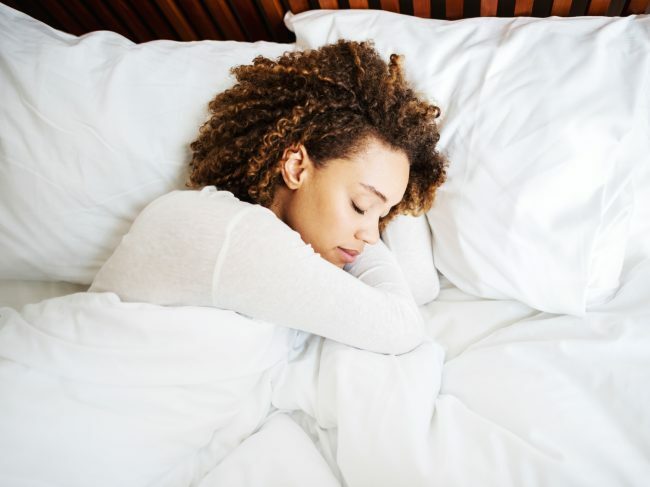 However, this will not be possible if you lack to sleep for healthy hours means you are lagging to sleep 7 to 8 hours which is considered as the healthy hours’ sleep by the health specialists. Puffy eyes, dryness, wrinkle appearance, dark circles, etc. skin problems start to develop if someone lacks to sleep for long and quality sleep during the night time. This happens because the skin cells don’t get time to repair and detoxify itself resulting in toxins start clogging your pores causing a breakout, sagging and dryness occur which can easily damage your skin health. Apart from this, quality sleep is also essential for proper functioning of the liver as it gets a good time when you sleep to detoxify all toxins, hormones, and chemicals from your body which are unnecessary. If this doesn’t happen it starts reflecting its bad effect by affecting your skin firmness, glow, and overall appearance. So as a healthy habit for your skin care and skin health protection make sure that you sleep for at least 7 to 8 hours in the night. For ensuring this make sure that you are keeping all the distracting factors away from your bed such as mobiles, laptops and other gadgets. Also, sleep in a dark room where windows are covered with dark curtains so that your sleep would not hamper in the early morning due to sunlight. Maintain this habit every day in your life and notice the sudden natural changes in your skin in the form of fresh looking, nourished and lighter skin tone. 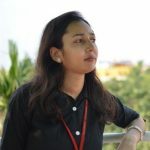 Friends apply all the healthy habits to develop for healthier skin mentioned in this article and get rid of all your skin issues rapidly and naturally.